We’ve just completed a 4 month service review of Republic Wireless and averaged a $33 per month bill for unlimited talk, text, and 2GB of 4G data, which included all taxes. This wireless service is one of the cheapest no contract US coverage options currently available. If you’re a smart consumer, check out our full review of Republic Wireless. Most Americans are getting ripped off by their wireless carriers, often paying upwards of several hundred dollars per month in plan fees, not including hidden fees and taxes. Maybe it’s time you switched carriers because we all know you can do something better with your own money. Thankfully, Republic Wireless may be just one of many ways you could save yourself and family thousands annually. It’s exciting to see a product work and know that you’re saving money. The cost of living is high and cell plans can really burn through your wallet. If you’ve living paycheck to paycheck, like many Americans, you know how important budget decisions are. One 1 in 6 people experience bill shock and cell phone companies continue to eat the family budget. An average cell phone bill can range from $60-110 monthly, easily doubling or tripling for families. It’s important to do you research and save money. As smart consumers, we get tired of getting ripped off, especially when we see how much money we could be saving. Some people even reach the point of desperation, in an attempt to ditch their cell provider for something cheaper. Thankfully, you do have many options. Republic Wireless is a budget, hybrid smartphone service provider, founded in 2010. The hybrid part means they are capable of instantly switching between Wi-Fi and cellular, which is all about saving bandwidth. They are called a mobile virtual network operator because they utilize other networks, such as T-Mobile and Sprint. This means that their customers essentially get the speed and coverage of their huge service areas, without the huge monthly prices and hidden fees. In fact, on our 2GB 4G LTE data plan with unlimited talk and text, our monthly bill was just $33, no hidden fees. It was nice for once to have a bill with no surprises. What was nicer is that we could give the finger to other providers that were obviously a rip-off. By switching to Republic Wireless, we were able to cut our bill by about 65%, which was more than half of what we were paying with Verizon Wireless. We could save even more, but we decided to go with a more expensive plan, due to data use. Republic Wireless has many plans and the only difference is the data amount. The lowest priced plan doesn’t include cellular data (uses Wi-Fi) for $15/month. All other plans include unlimited text and talking: $20/month 1GB, $30/month 2GB, $45/month 4GB, $60/month 6GB, $90/month 10GB. All plans are no contract, no overage, and no hidden fees. Imagine the average Verizon plan, including taxes and fees for 2GB of monthly data is just around $70 per month. The same data amount and unlimited text/voice is just $33/month with Republic Wireless. You could see just how much you would save, if you were to switch an individual or family group to Republic Wireless. The savings really adds up and you could have peace of mind that no contract ensures you’re under no obligation to stay. We’ve decided to stay with Republic Wireless because it’s the best domestic budget smartphone service provider, complete with call waiting, voice mail, forwarding, tethering, no hidden fees, etc. We’ve been really happy with multiple Republic Wireless plans – you get exactly what it says. National coverage, namely east of the Rockies, is excellent. Both Sprint and T-Mobile coverage provide reliable data and voice service. We’ve tested the coverage on a road trip along the U.S. East Coast with most areas having high speed data coverage. We ran Google Maps throughout the trip and experienced no problems with connectivity. As with any other service, if you go beyond the tower distance, in a tunnel, or by a mountain, you may have a temporary break in coverage, which is understandable. If you live in a major city, your coverage is likely to be excellent. Therefore, Republic Wireless is excellent for most families and individuals, even if you frequently travel domestically. One of the things we would like to see Republic Wireless do in the future is international service. At this time, we are unaware of any way to make or receive international calls or texts. In fact, we tested Republic Wireless in many foreign countries. The interesting thing about it is that you can connect through Wi-Fi and use your US number to call back home as if you’re calling from your backyard. However, you still cannot make or get international calls or texts. It would be nice to see Republic offer this service, even if it costs a few dollars extra, at least for portions of Europe (most popular tourist destinations). Because of the technical nature of our review, we opted to use the bring your own phone (BYOP) option. Certain unlocked phones can be used with Republic Wireless. This means that you can simply pop in a SIM card and get going. Best of all, having your own unlocked device is one of the smartest things you can do because it can be used on multiple networks, making it easy to switch. Unlocked phones empower the consumer. There’s a list of compatible BYOP models on the Republic Wireless website. The compatible BYOP phones include: Huawei Ascend 5W, Moto G (4th Gen.), Moto G PLAY (4th Gen.), Moto G PLUS (4th Gen.), Moto X Pure Edition, Moto Z, Moto Z Play, Nexus 5X by LG, Nexus 6 by Motorola, Nexus 6P by Huawei, Pixel by Google, Pixel XL by Google, Samsung Galaxy J3, Samsung Galaxy S6, Samsung Galaxy S7, and Samsung Galaxy S7 edge. If you’re interested in bringing your own smartphone to Republic Wireless, you must make sure it’s one of the compatible models. Note that some of the Motorola models have specific series/serial numbers. We tested a Nexus and Samsung S7 on Republic Wireless. Our experience was great and even included a couple of automatic software updates. Note that regardless of what phone you choose to use, you need to first install the Republic Wireless app on your smartphone. You first install the SIM card, connect to your wireless network, and install the Republic Wireless app. The entire setup process was completed in a matter of less than 5 minutes. Even people with little to no technical knowledge should find the activation process simple. You can also purchase a Republic Wireless phone that is already activated. Be sure to set a voicemail pin (you can do this in the Republic Wireless app). Any modern smartphone user eventually runs into the tethering question. Other services may rip-off their customers by charging an extra “premium” fee for using tethering, but the truth is you’re already paying for your data so why not use it? Republic Wireless includes tethering on most of their plans. We’ve tried tethering several times and it took seconds to setup and worked without any issue. Of course, the tethering speed will change once you reach the amount of data you paid for, the usual standard operating procedure. Tethering is usually used by high-bandwidth customers. Some reasons for tethering include: using a tablet, another phone, or providing a temporary internet hotspot where internet is not available. When you sign up for a plan, expect to pay that exact amount. We didn’t have any hidden charges on any of our bills, within the 4 months of service we tried. The fact that Republic Wireless doesn’t have so many extra fees and taxes means that budget-minded people will find it easy to plan ahead. 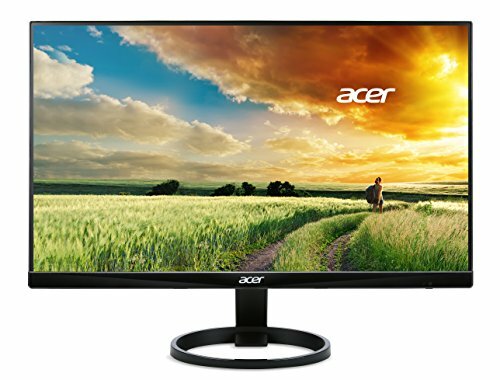 Don’t pay more than you need to! We had no problem transferring an existing number to Republic Wireless. Expect this process to take anywhere from 18 to 72 hours, the average being less than 48 hours. The best way to do this would be to initiate a transfer on Friday and let it go through the weekend. Be sure to follow the specific instructions. You will need the account number of the existing service you’re coming from. Other than that, transferring was very easy. Instead of spending hundreds per month on cell service, what else could you do with the money you would save? There are many wireless smartphone carriers in the US, but most of the big names are totally ripping off customers. It’s bizarre to see millions of people willing to blow their money on services they could get cheaper. The excuses for enduring a rip-off often include convenience, not knowing about other options, or just willful ignorance. ULTRA TechLife has tried Sprint, Verizon, and Straight Talk. Each of these services were some of the highest priced monthly plans. Companies like Verizon also charge all kinds of additional fees, which causes your bill to be much higher than they advertise. Unlike the others, Republic Wireless is able to offer a much straightforward, lower pricing plan because it is a vendor of services that utilize multiple networks, hybrid switching technology, less employees, and almost no physical store locations. If you’re a highly technical customer, you rarely need the assistance of smartphone technical support. However, for general consumers, Republic Wireless does have an organized help website and forum. You can type in a question to search for an answer. Most of the common problems are documented and have easy fixes that can be done by yourself, without any help. If you’re worried about not having a physical store location to go to, simply consider the fact that we’ve tested multiple phones, the activation process is extremely simple, and the service has been just as reliable as any other service we’ve ever used. But what about physical store locations? A good service is ready to go out-of-the-box. How many experiences have been positive at a cell phone store? How much money have you spent at a cell phone store? One of the reasons Republic Wireless is cheaper is because they have less overhead costs and do not operate stores like Verizon or Sprint. However, there are locations in Arizona, New York, North Carolina, Ohio, Oklahoma, Oregon, and Wisconsin that sell these products. You will also save money by simply purchasing cards and phones from online. See above about help resources. Again, it was very exciting to actually save money. 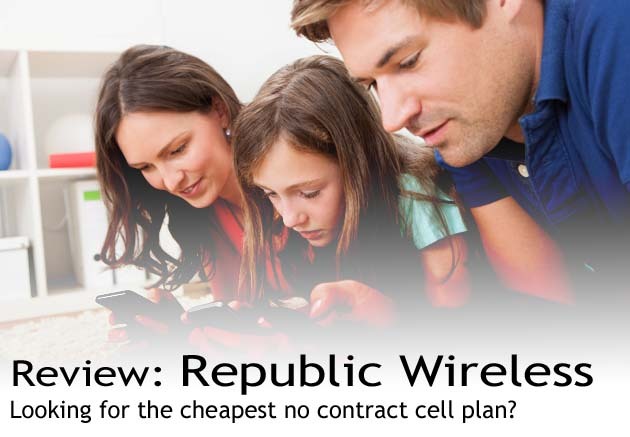 Despite being a budget cell provider, Republic Wireless is quite reliable, high quality, and offers most of the features you would find on any other big name plan. This is a time when consumers have to make smart decisions and the fact that so many options exist means that you have to do your research. After 4 months of researching this provider, ULTRA TechLife is recommending them as a budget cell provider. The only future recommendations for improvement we have include offering international calling/coverage, hiring some more experts for the support forum, and offering a live chat help option. In general, you will find, as with any smooth operation, physical store locations are totally unnecessary. Everything can be done online, including getting your SIM cards, accessories, and support. The lowest 1GB 4G monthly no contract plan is just $20 – and you will not find anything cheaper, especially with such coverage or features like tethering. Be a smart consumer, save money, and give Republic Wireless a try. You can try them out by visiting their website.